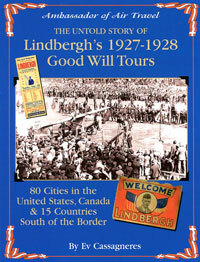 The Daniel Guggenheim Fund never did a finer thing for civil aviation and air travel than when it arranged and financed Charles A. Lindberghï¿½s 1927ï¿½1928 Central American and U.S. tours. The tours were a remarkable demonstration of the efficiency, dependability and safety of airplanes which were to break through the longtime public apathy and awaken the public, politicians and business persons to the possibility of air travel. 360 pages, SB, 8.5 x 11in,hundreds of photos, maps.